Why admissions officers are biased. Why “need aware” isn’t as scary as it sounds. What happens when admissions officers disagree. Why this campus prioritizes mental health over cutthroat academic rigor. How exactly applications are evaluated in each round. Whitman College admissions officer Henry Whipple gives SocratesPost the exclusive insider scoop on everything you wanted to know but never figured out. Mercy at SocratesPost: Do you get to know who gets in and who doesn’t among the people you interview? Tony at Claremont McKenna: I can request that from the admissions office and they will let me know but in most cases the students themselves will. They’ll usually send an email out to whoever interviewed them saying ‘hey, I got in, it was so great to meet you’ and all that. It’s pretty cool because whenever I get back as an alumni to the campus, I get to see some of the friendly faces who I saw first from the other side of the table. Mercy at SocratesPost: Do any of those acceptances or denials surprise you? Tony at Claremont McKenna: Oh, of course – there’s always going to be some kid that will – I guess – slip through the cracks of what you think. I think it’s very rare – I don’t think I’ve ever had a situation where a kid I did not think would get in got accepted, but I’m also pretty early into my tenure in this role. I have had a few situations where kids I thought were absolutely fantastic and I rated them as such, weren’t accepted. I’m only seeing one part of the application, which is themselves. I don’t get to know if they are students capable of handling the rigor of CMC’s curriculum or maybe there’s someone who is like them but who is just a little bit better, if that makes sense. Mercy at SocratesPost: Sure, it might be difficult to speculate without seeing their application and trying to guess why they didn’t get in would be futile. So, among these interviews that you’ve had, I’m curious to know if there was a very impressive interview or encounter with a student that you remember, or you want to share? Tony at Claremont McKenna: Yeah, there’s definitely a few like that. One student who absolutely blew me away and was more mature than a lot of the people I’ve met in my time in college and just had such a fantastic outlook on life but also a great way of articulating herself and her answers just showed how genuine and just they were. She stuck with me in particular because she did get accepted to CMC but did end up not attending CMC and instead opted for one of the other Claremont colleges. So, I was a little bit bitter about that, but I was very proud that you know, she got to pick somewhere that she went to that she really enjoyed. I actually bumped into her this April when I was back on campus for some alumni event. It was pretty good because I didn’t know she went to one of the other Claremont colleges, all I knew was that she did not go to CMC. Mercy at SocratesPost: Why do you she had such a great and big impression on you? I know you said she was able to articulate herself and she had incredible maturity. How do students portray that in an interview? Tony at Claremont McKenna: I think a great way – and it’s a very fine line – is to be able to talk highly of yourself but at the same time being humble. You’ll know when you go to like, a conference, that you won’t be the smartest person in the room. So, there’s the students who are aware of how much further they have to go. They’re not egotistical but they’re confident in themselves. They’re not arrogant, but instead they know exactly what they’re good at and how they can market themselves according to that. The other thing is practicing. Looking up parts of their application that are strong or weak and finding out how they can answer questions about that; like, you don’t have as many extracurriculars as the person next to you in their application, so how do you answer when a person asks you know, ‘how did you spend your time after school?’ Then also, how do you spin that in a way that’s positive for you? For example, you’re coming from a home where you’re a caretaker for your siblings and you might not have the time to work at a job or do a cool summer program, or even just being in charge of a club as a senior because you’re busy taking care of your siblings. That’s something that’s so very important mentioning on your application and in an interview because it shows that you’re getting this type of life experience that not everyone else has after school. At the end of the day, it’s how you leverage those parts of your own person to make yourself look good as an applicant. Mercy at SocratesPost: That’s helpful. What about a negative interview experience you’ve had? 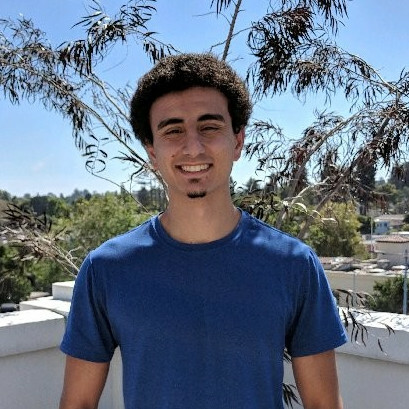 Tony at Claremont McKenna: I would say possibly the most negative experiences is… I don’t think I’ve had a really atrocious interview, but we do frequently run into students who don’t know how long an answer should be. So, they keep talking and talking and talking, realize that they’re talking for a long time but then continue to dig this hole thinking if they talk enough, they’ll come to an answer. It’s totally okay to say, ‘I need a moment to think about this question before I answer’, it’s not always a good idea to just jump right in. If you’re talking for ten minutes on a question I ask about how you spend your time and at the end I still don’t really know what you do that differentiates you from another applicant, you probably should rethink how you’re answering that question. Mercy at SocratesPost: That’s a great tip. I wanted to ask you if you have noticed anything about the changing landscape on college admissions, whether it’s somewhere you first applied to or now that you’re a graduate. Even if this short amount of time, even within two years admissions can change so much. Have you noticed anything, whether specifically to CMC or just in selective college admissions in general? Tony at Claremont McKenna: I think that probably the biggest thing is that acceptance rates have gone lower all across the country. Every single year it goes like, peak schools setting their own records for their lowest acceptance process. It’s because 1) you might have more students applying to go to college in general, 2) if the school changes their application process to make it more acceptable, you now have a bigger applicant pool to choose from. I think across a lot of colleges there’s a bit of a concern in how do you identify which students you should accept. If say, you get an acceptance from a particular college and now you know, if you’re accepting only five percent on students but only twenty percent of them choose to enroll then you might want to increase your acceptance and leverage that. I think CMC is the same in this and when I talk to the other counselors, you don’t really know how to truly identify if a student who is applying regular decision or early action is actually going to matriculate. I think we’re going to be seeing some potential outliers across different colleges over the new next few years as schools try to handle having greater application volume. Mercy at SocratesPost: Very insightful, thanks for that Tony. Many applicants believe there are secrets to college admissions. So, what are the secrets? Join and access full content! Mercy at SocratesPost: What is your best piece of advice for applicants applying for a spot at CMC or a similarly selective college? Mercy at SocratesPost: What do you think got you into CMC and what did you write your college essay about? Mercy at SocratesPost: Where did you grow up, Tony? Mercy at SocratesPost: So how did you end up selecting CMC as the one? Mercy at SocratesPost: How does your college degree now translate to what you’re doing now? Or maybe not just your degree but also your experience, how does that help you in your career? Mercy at SocratesPost: One last question. Do you remember what you wrote in your “Why CMC” essay? Mercy at SocratesPost: This is great, Tony. Thank you so much. 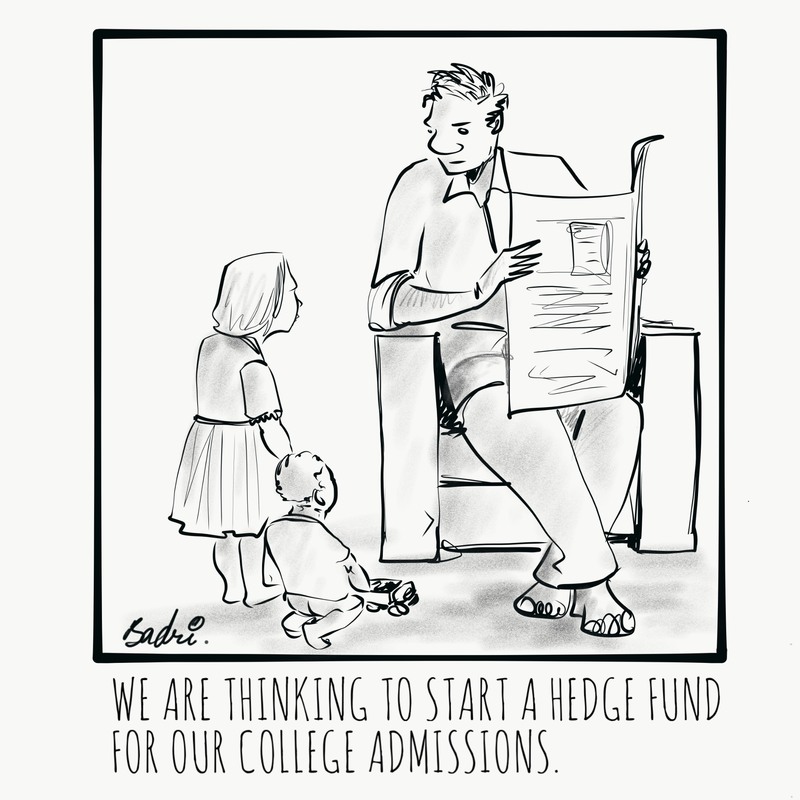 SocratesPost brought on Badri J., a Hyderabad-based cartoonist, to create original, college admissions-related cartoons just for our readers. We know college admissions is hard, but as Lord Byron put it, “Always laugh when you can: it is cheap medicine.” Find more of Badri’s work on Instagram and Twitter. Enjoy! This week, we selected a question from Vijay in New Delhi, India. Hey Vijay, your scores are in line with those of admitted students in many engineering and computer science programs. 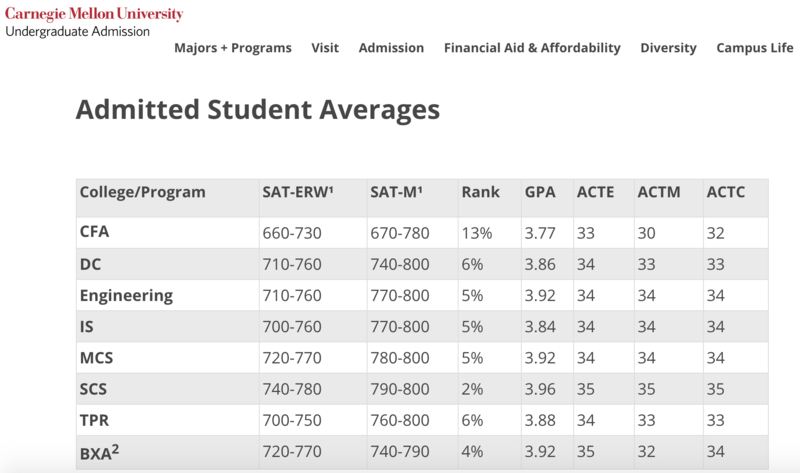 Let’s take a look at Carnegie Mellon’s statistics of admitted students. Let’s look at “CS” and “Engineering.” This was taken from the website of Carnegie Mellon — one of the top schools for engineering and computer science in the U.S. — in January 2019. Your verbal score of 740 falls within the admitted student averages for both the School of Computer Science (740-780) and College of Engineering (710-760). Your perfect math score of 800 exceeds both. Because of that, I would strongly recommend against retaking the SAT, for four reasons. 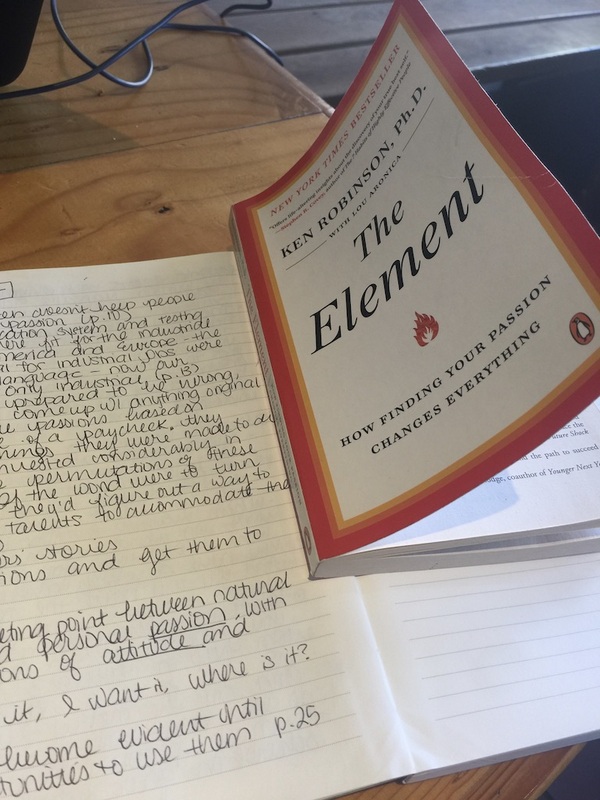 Why we reviewed The Element: How Finding Your Passion Changes Everything: Almost every admissions insider we interview says showing passion is crucial. Most people, though, don’t know why passion is so important or how to find it. We got Dr. Robinson’s take on it. Why this is relevant to the college admissions process: College admissions officers seek self-aware, reflective students. Taking the time to understand who you are and pursuing that despite what society tells you to do is a rare and attractive trait among young adults. What are the 6 questions answered by the book and how do we know when we’re in our element? We’ve summarized it and included the most thought-provoking quote from the book.